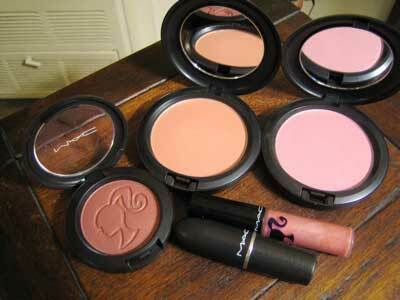 Here are a few pictures of the Barbie Loves MAC loot I picked up this weekend. Over the last two years I’ve developed a serious blush addiction, so I wanted to get the pink blush, Don’t Be Shy, but they ran out. I recently got Dollymix and I’ve been using that as my go-to pink blush for the past two months so I wasn’t too disappointed. Fab looks a bit dark in person, but I’ve found that it’s kind of sheer on my skin so it takes a while for the color to build and I have to add a few layers. The MAC website describes Fab as a mid-tone plum with gold pearl, but on me it looks like a reddish brown with gold flecks. I use a 129 Blush Brush with it and gently bounce the brush on the apples of my cheeks to get a soft brown cheek. Both Beauty Powders are to die for! I’m seriously thinking about purchasing backups. I’ve been looking for a highlighter without disco-ball glitter and the Beauty Powders deliver a subtle, tasteful shimmer. You can use Pearl Sunshine as an all-over highlighter and as a brow highlighter. Pearl Blossom is also a great highlighter and can also be used to brighten up your inner eye. Use a small, fluffy eye brush like MAC’s 217 blending brush and tap the powder gently over your concealer to instantly get a bright-eyed look. I purchased Style It Up Lipglass and Fashion Pack Lipstick because I’m currently on the hunt for my holy grail neutral lip. I was first a little scared by the Frost in Style it Up but when applied found that the frost is very subtle, not scary like the Wet & Wild frost lipsticks from the ’80s. I line my lips first with Subculture lipliner, and use the 316 Lip Brush to first add Style it Up. I then blot and then dab Fashion Pack on with the same brush. Love it! 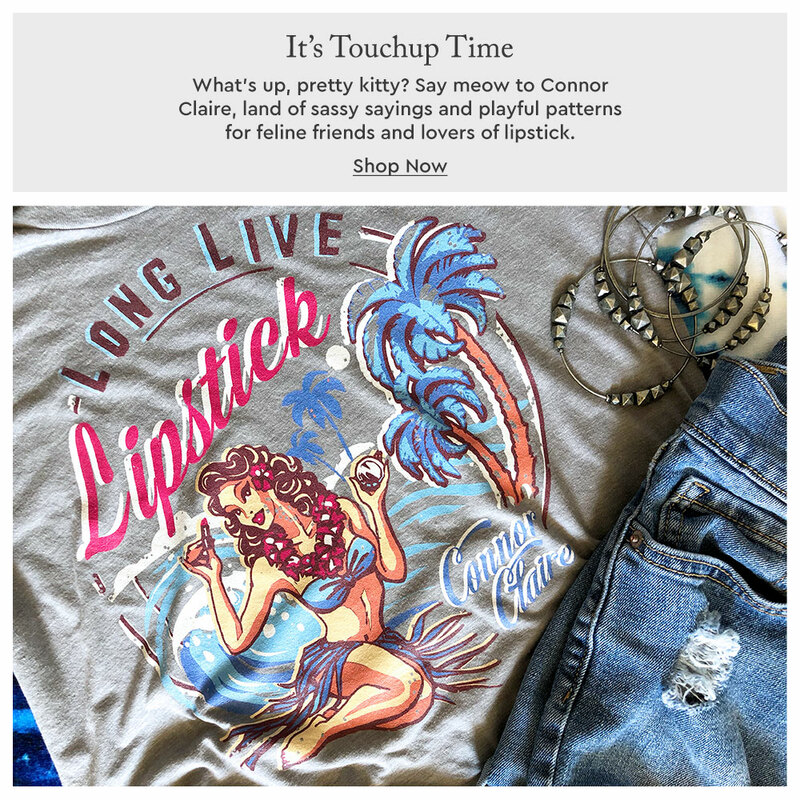 I tried to order the Barbie Loves MAC T-shirt online but it’s on backorder for the next two weeks, boo hoo! The makeup artists at the MAC counter were wearing them this weekend and the shirts are really cute in person. If I do end up getting it I’ll take a pic and post it. 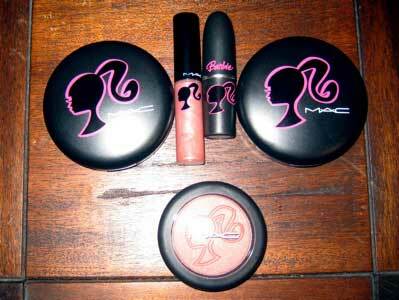 I still love the Barbie loves MAC collection. Thanks for these pictures! Karen- anyone- Has anyone heard of VIF cosmetics? I was reading the Rachel Ray magazine and an add popped with pics of this luxurious lipstick in 10 shades of red. It said: find your red. Nope, I haven’t heard of that brand. Do you know if VIF stands for anything? I am at work right now and I had to clear my cache! I have my favortie MAC lipstick called “O” . It is the chamelon because it matches everything. I have one in every drawer. I still have quite a few items from Barbie!! I would love love to find a dupe for Magic Dust!! Like it a bit better than Shroom. Have even eBay-ed one.